Click here for the Malay news. It was twice an exciting day for Auto Makmur Sdn Bhd, the exclusive dealer of Citroën and DS vehicles as lucky customers were invited to attend the grand draw that was held by the company yesterday at the Citroen Showroom in Beribi where one lucky winner drove home a brand new DS 3. This promotion that started last 1st June and ended 31st December 2018 dubbed as ‘Twice the Fun. 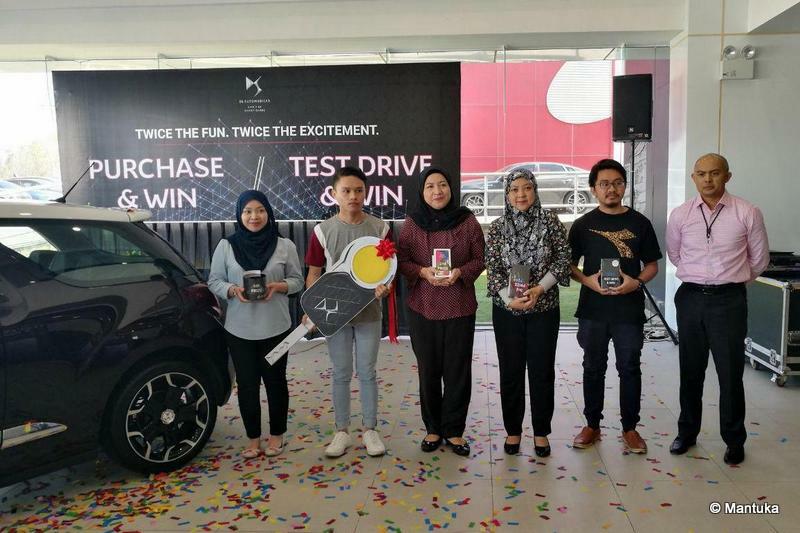 Twice the Excitement: Purchase & Win and Test Drive & Win’ promo entitled customers who purchased any Citroën or DS vehicles during the promo period to join the promotion where they can win a brand new DS 3 and other exciting gadgets! In addition, if customers test-drive any vehicles; they can join the draw where they can stand a chance to win a Samsung Galaxy S9+. 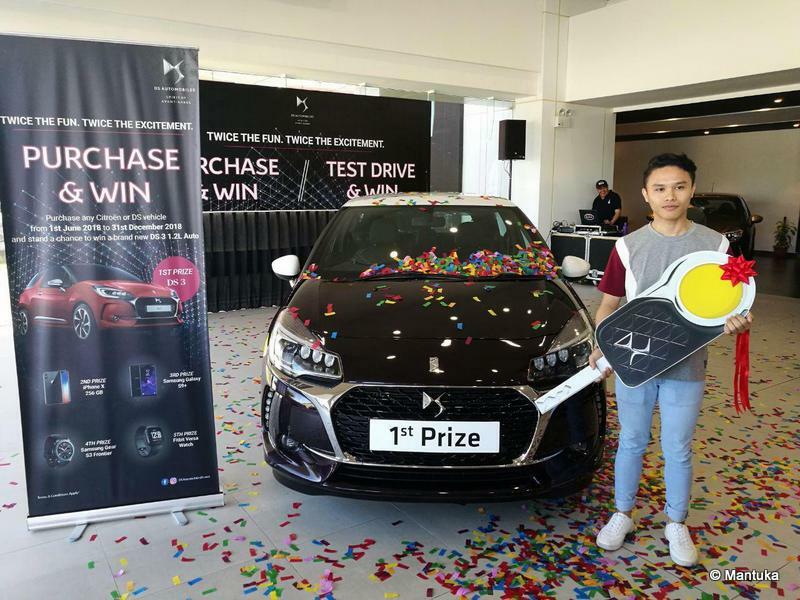 Grand draw was held on 11 January 2019 at the Citroën Showroom in Beribi. Out of the 130 customers who test-drove Citroën and DS vehicles during the promo period, it was Hj Muhammad Hanis Bahzi who won a Samsung Galaxy S9+. 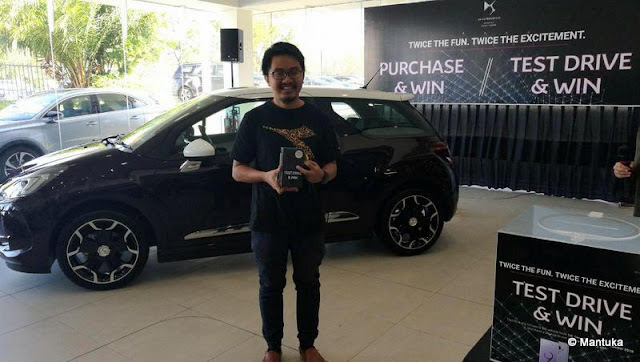 Mohammad Wafiy Fakhri on behalf of his father Mohammad Zailani bin Abdullah Tingkah @ Zailani bin Tingkah, a C4 owner is the lucky winner who gets to drive home a brand new DS 3. Other prizes such as the iPhone X 256GB was won by Nila Arsianti Singgih, Samsung Galaxy S9+ was won by Norhayati binti Hj Yusof, Samsung Gear S3 Frontier was won by Siti Nurdiana binti Mohamad Noor Sam and Fitbit Versa Watch was won by Pg Anak Hj Ahmad Rapae bin Pg Anak Hanafiah. Present during the draw were the management of Grand Motors, members of the media and finance representatives. These promotions were developed to further enhance the brand’s engagement and awareness in the country with customers as their priority. Citroën and DS Line are eager to further cater to their customers’ needs and driving experience by providing vehicles with great blend of luxury and performance. To know more about Citroën and DS Line, customers are welcome to visit the Citroën Showroom or call 261 3888 EXT 248 for more detailed information.